Premier Quality – Convertible Lens. Consistent T2.9 Built In Servo Drives, Macro & Back Focus. Perfect handheld 35mm PL Mount Lens. 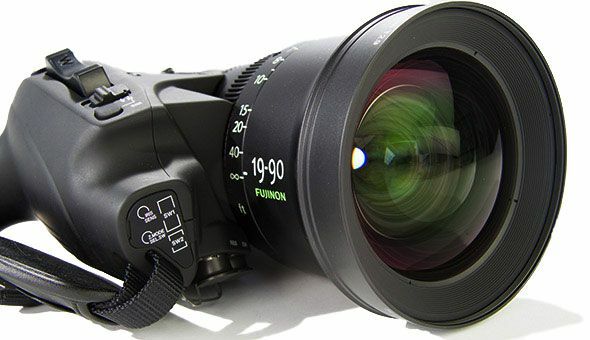 Fujinon are very good at making exceptionally good zoom lenses and this Cabrio 19-90mm is from their stable of top end Premier lenses. It’s uniquely suited to handheld work, with a rocker zoom control handpiece that allows full ENG style shooting. 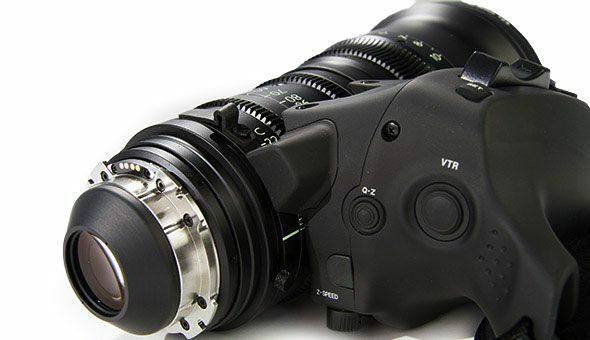 Ideal for an ARRI AMIRA or SONY F5 camera. There is internal powering & communication via LDS type contacts which enable data to be seen in the viewfinder. Best Value for Money light weight compact “Rocker” Zoom lens. 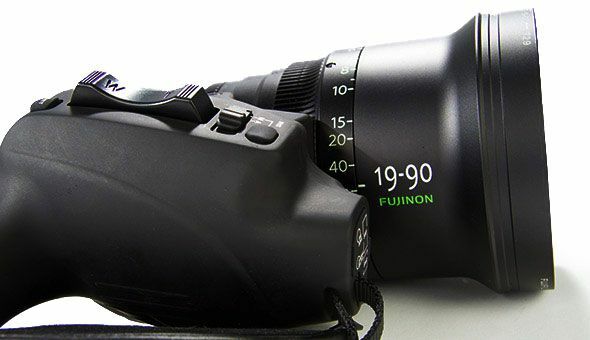 Ideal for handheld shooting. If you are shooting on an LDS (lens data system) like Sony F5/F55 & ARRI Amira, the zoom rocker will be powered by the camera – without any additional power.